California has long been a symbol of innovation and perseverance and a leader when it comes to sustainability and intelligent energy solutions. 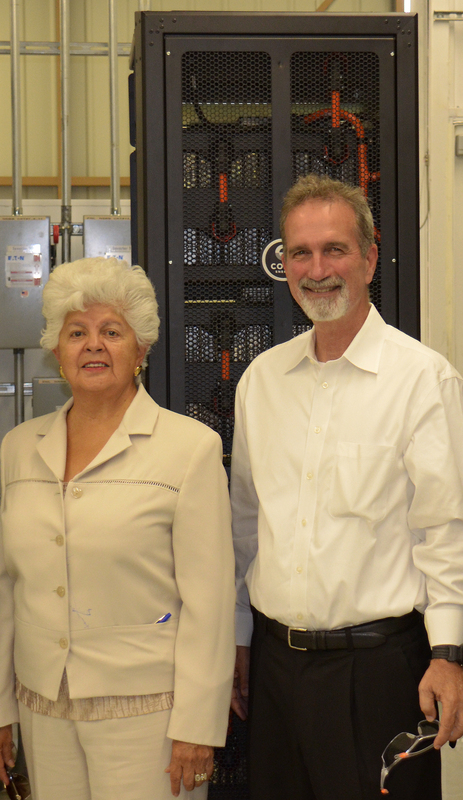 In an effort to collaborate with California’s legislative leaders, CODA Energy invited California Congresswoman Grace Napolitano to visit our headquarters in Monrovia, CA. With the Congresswoman’s election to the 32nd District in 2013, she is actively visits her constituents to learn about companies and technologies that are growing across the district. As part of her district, the City of Monrovia is a burgeoning hub of technology from biotechnology to clean energy and incubating start-ups in addition to its rich history as a home to an existing environment of aerospace. As a team we were inspired to learn more about Congresswoman Napolitano’s commitment to her constituents by seeking out ways to improve job opportunities, energy conservation and the success of California businesses small and large. She expressed that local manufacturing ensures jobs for California residents and strengthens American competitiveness abroad. We were honored to inform her about how CODA Energy is creating jobs by being a California Manufacturer and providing a certified installer program. Now with Obama’s Clean Power Plan set in motion, CODA Energy looks forward to working with leaders like Congresswoman Napolitano to help the great state of California meet and surpass its aggressive energy efficiency mandates and continue to raise the bar for the rest of our country.